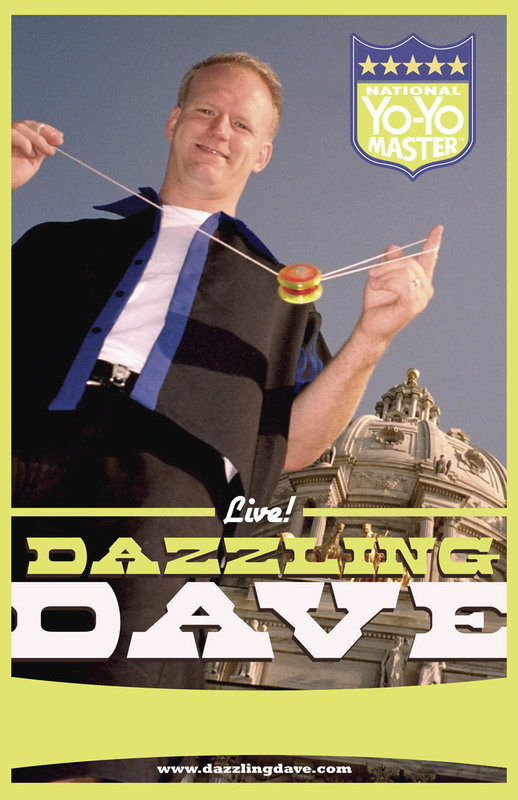 2:30 p.m. – Grand Marais Public Library Dazzling Dave is a full-time professional yo-yo performer, and one of 13 officially recognized National Yo-Yo Masters. He has circled the globe since 1998, storming audiences everywhere with his freakish tornado of whirling tricks and tips. Kids will love his high energy, and his freestyle performance. Each show lasts about 30 to 45 minutes, with a question and answer session that follows. The show is best for school age children, but younger audiences will enjoy it as well. After the program, Dazzling Dave will have yo-yo’s for sale. Check out Dazzling Dave’s website: http://www.dazzlingdave.com/index.html Dazzling Dave is sponsored by Arrowhead Library System Kids’ Stuff and your local library. If you need a sign language interpreter, please contact the Arrowhead Library System two weeks before your show to make the request.